This is the nursery my husband and I lovingly put together for our little boy. 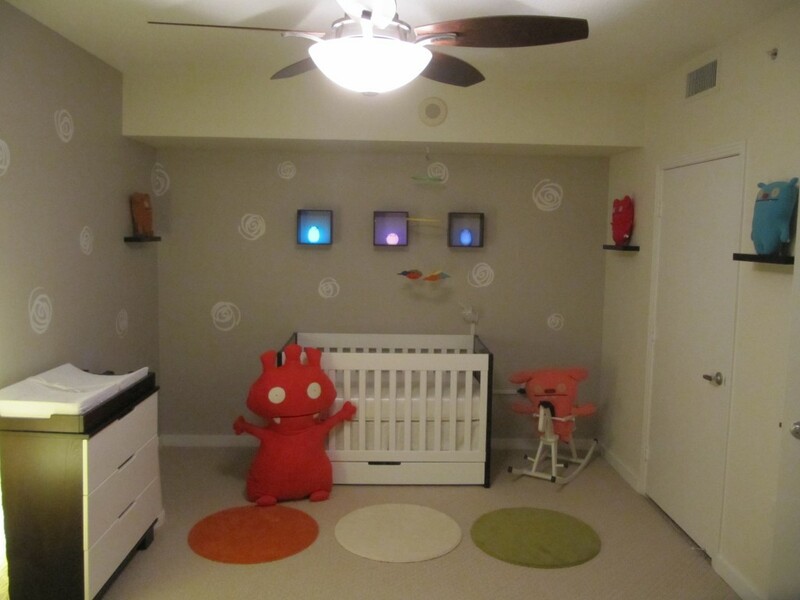 We love Ugly Dolls, and their assortment of colors and shapes made them a wonderful element for our modern nursery. Punko- The red Ugly Doll I made for my little boy. Where did you get the HUGE Ugly Dolls? It’s so cute and fun. I also love the ugly dolls and decorated my son’s nursery with them. Your room is so cute and modern. I thought I would share mine with you. Expecting my little boy in September.